How many times have you sent an email and waited .... and waited ... and wondered what happened to it? We all have. In the past, it was normal to have no idea what happened after we sent an email. Did our recipient receive it? Did it get lost in their inbox? Is it in their spam folder? Did they click on my links or open my attachments? No one knew ... until now. Now, we have software that lets us know when someone opens our emails, clicks on any links, and views any attachments. Email tracking gives us the power to build and maintain relationships in this exceedingly crowded, competitive inbox environment. That’s what this guide is all about: powering our inbox with email tracking to boost our email efficiency and productivity. Bookmark this guide for future use and the chapter links below to jump ahead to sections of interest. Email tracking is the process of tracking sent emails and using that data to inform business decisions. Most email tracking tools capture data on open rates, times, and locations, as well as click-throughs on links and attachments. Email tracking notifies you when any email you're sent has been opened or clicked. Unlike read receipts, email tracking software works in the background without interrupting you or your recipient. Email tracking software places an invisible image pixel in your emails that can detect the exact time and date an email has been opened. It can tell you when, how many times, where, and from what device a recipient opened your email. We talk more about how to do this below, but first, let's discuss why email tracking is beneficial to your business. 1. Email tracking saves time. If you see that a contact opened your email from a mobile device in Maui, Hawaii when they're typically working from a San Francisco-based office, you know that he or she is most likely drinking a pina colada on a white-sand beach and unlikely to respond immediately. Thanks to this information, you no longer have to send that annoying, time-consuming “just checking in to see if you got my email” email. Similarly, if you see a contact opening your email from a desktop device, clicking on the links you sent and viewing a cover letter or a proposal that you attached, you know that you're currently at the top of their minds. Reaching out to them at that exact moment, when you're already on their minds, is beneficial for both of you. It isn’t interruptive and it could save your contact precious time — which they would appreciate. Keep reading for specific examples that demonstrate the power of tracking emails in action. 2. Email tracking provides context. Email tracking provides you with valuable insight into your email interactions with contacts, networks, customers, or prospects. You can use this insight to strengthen your outreach by catering to their specific relationship with you. If you see that a contact has opened our email multiple times in one day, you can follow up immediately while you're top-of-mind. If you included links or attachments in an email prior to a meeting, you can see if your contact has actually viewed them. If you sent a follow up email, you can determine if the recipient is reviewing what you sent. 3. Email tracking provides unique insight. Let’s face it, writing emails can be daunting and frustrating. It's easy to struggle with how to begin or what to say to fill in that white space. With SalesHub Email Tracking, you're provided with more than just valuable information about your contact’s engagement with your emails. You also get to see their professional history, where they live, details about their company, their twitter feed, social profiles, your email history with them, and more. Add email tracking to your inbox. Learn when people open your emails and craft the perfectly timed response. Try our free email tracking tool and take the guesswork out of email follow up. 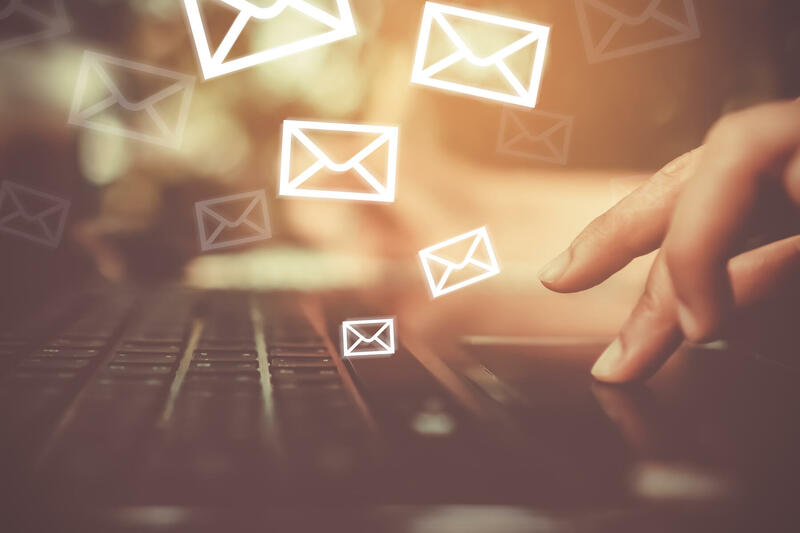 Now that you know the main benefits to using an email tracking software, let’s take a look at specific examples of how tracking emails can benefit your business. 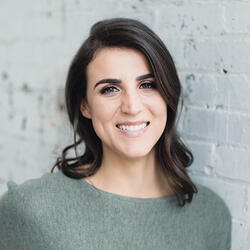 "Last year, I was positive we’d landed a contract with a huge eCommerce client. I thought we had the deal in the bag. After speaking for weeks, we sent our final proposal with a quote and the entire process mapped out. And what happened? Absolutely no response. Silence. Fast forward three months later: a notification pops up on my computer letting me know that eCommerce company just opened my email … and clicked the link to our proposal. Later that day, I get another notification alert that they’re reading our blog posts. The next morning, I get yet another notification. They’re reading the case studies on our website! So I sent a follow-up email, hoping that they were interested again. Three weeks later, we closed the deal — worth more than $100,000." "Email tracking has completely flipped the world of prospecting upside down for me. Recently, I've been focusing my prospecting efforts on the top 25 financial services companies in the U.S. — a 'title happy' industry where it's difficult to decipher if a VP has responsibility for a specific branch or at the corporate level. Based on the information I sourced online, I started my campaign on each account by sending emails to the five to seven individuals who looked to be a good fit for our product and had VP titles. By day two, after sending roughly 50 tracked emails with HubSpot Sales, I noticed that three of my emails had been opened 10+ times — a sure sign they've been forwarded between colleagues — and decided to focus my calling efforts on these accounts. After a number of attempts that day — one in the morning and two in the afternoon — I had connected with two of the three prospects from whom I saw activity, and had two meetings set with Senior VPs at a top five brokerage firm and insurance company. Without HubSpot Sales, my email tracking tool of choice, it typically takes me weeks to breakthrough to the right people!" "I've been nurturing a lead for about three months now, and my main contact has been the company's Business Development Director. Recently, my HubSpot Sales stream was showing that he was opening the initial emails from three months ago. This indicated to me that he was looking for a reference point for when we began working together. Because he has been a "hero" for us (a huge advocate for bringing us into his organization), I knew that his reference point inquiry showed he was getting frustrated with the time it was taking his own company to make a decision and move forward. So I reached out and asked if there was anything I could do to move the process along. Now, I have a meeting booked with the CEO of the company to discuss moving forward." Sending a tracked email is simple. We're going to review how to track an email using our product, SalesHub, which involves four easy steps. 1. Install an email tracking app. There are a few different email tracking tools on the market today. 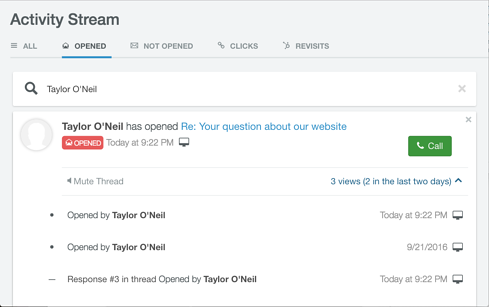 In SalesHub, you'll get live notifications when someone opens or clicks your emails. You'll also get real-time updates on when, how many times, where, and from what device a contact opens your email. Click here to install the free SalesHub extension and start tracking your emails today. Sometimes that’s easier said than done ... which is why we created a contact profile feature (in the example below) within our email tracking tool so you can see information about who you’re emailing, such as company information, open deals, and a timeline of communication. This provides valuable context that can help kickstart your messages and make them more meaningful. 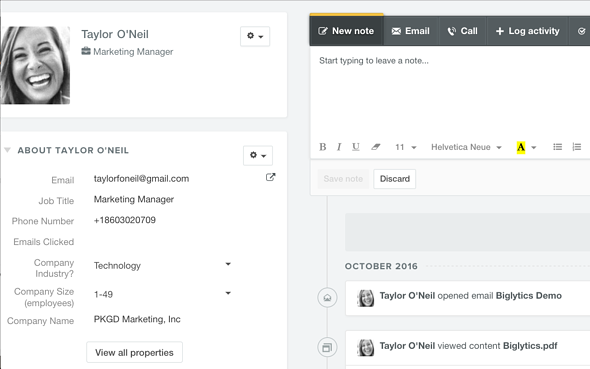 You can also open the contact profile in the HubSpot CRM for a full view. 3. Check the "Track" box. At this stage, every email tracking tool works a little differently. With SalesHub, tracked emails are signified by a checkbox that will appear in your Gmail or Outlook toolbar once you download the tool. Most tools will reflect a similar checkbox or indicator that allows you to choose which emails to track. Once you click “Send,” the magic begins. You're automatically alerted whenever email recipients open your emails. You can use this real-time information to stay on top of work emails, when cold emailing prospects, sending networking emails, and to improve your email efficiency and productivity. That’s it! With four quick steps, you receive the power of knowing what happens after you send an email. Here's another real-life example of how tracking emails can benefit your business. They basically make you install their Chrome extension — and it's kind of done from there. Every time you send an email, it's set up to be tracked. But the cool thing about them versus some of the other companies that do the same thing is ... they went a little further and use the Chrome extension as a communication channel. That's it. And they remind me that they exist, and they're working for me. I didn't type anything outside of what I was going to do normally. I literally didn't have to type a single thing. It just works. on an interview with UserOnboard. 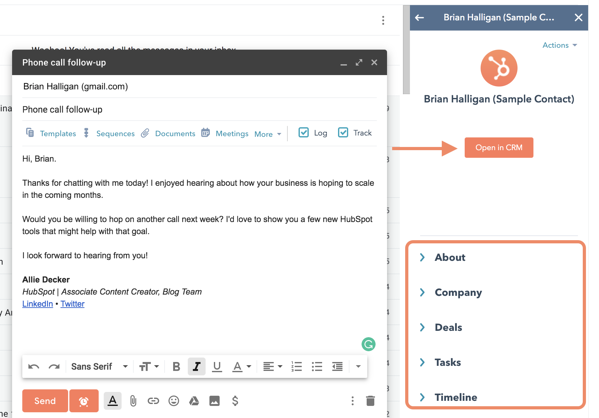 HubSpot's email tracking tool is free. Start tracking email opens today. You set up tracked emails. Now what? We hear it all the time: What do I first say to someone who opens my email? What are good ways to reach out? What do I say second? Should I send an email? Should I call? As with the answer to everything: It depends. Everyone uses these notifications differently. Here are some use cases that we recommend. While we don't recommend calling right after someone opens your email (an automatic open does not indicate automatic interest), you could follow-up a few days later with a phone call and say: "I saw you opened my email. Can I answer any questions you may have?" On the other hand, an unopened email doesn't necessarily indicate disinterest ... your contact might be busy, or the email might have dropped into the spam folder. After a few days, if the email is still unopened, consider following up with another email. Use the notifications to better understand when you need to follow up with additional context. Let’s say a contact clicked on a link about company culture — perhaps you can reach out with additional information on that topic. A personalized touch never hurts, and a prospect may appreciate that you've anticipated their needs or interests. By receiving email open and click notifications, users know their contacts are engaging with and responding to them in some way. Record these interactions as a touch points and use them to analyze a prospect's interest (or disinterest) over time. It's likely you're reaching out to contacts who have no interest in hearing from you. In the interest of saving your (and their) time and energy, it's to prune those emails and clean up your email list. If you notice a contact hasn't opened any of your recent emails, consider reaching out and asking if they're still interested in receiving your emails. Provide a simple one-click option to unsubscribe if they wish to do so. Some users don’t take any action post-email open or click. The notification simply gives them the comfort of knowing their contact is engaging with them, and that there is no need to send a bothersome follow up email. Make this judgement call based on your overall relationship with a contact. If you've chatted with them before or know they have all the information they need, simply leave them alone. In the past, there was a lot of uncertainty around emailing. But with email tracking software, there doesn't have to be. Email tracking can help you know exactly when your prospects open your emails and when to follow up. Email tracking benefits both businesses and customers. With email tracking, businesses can navigate their inbox productively, communicate effectively, and ultimately build and maintain meaningful relationships. Customers can engage with emails without anticipating multiple follow-up emails or calls. This is why we built SalesHub — to empower both sides of the email marketing process and help businesses grow better.